Located in the Fashion Mall on Rte. 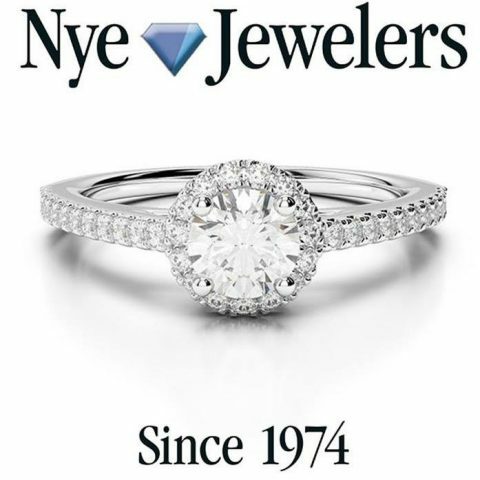 6 (across from the Viewmont Mall) in Dickson City, Nye Jewelers is a family owned and operated jewelry store. We sell and service engagement rings, weddings bands, designer watches, as well as exquisite gemstone and pearl necklaces and bracelets. While most stores buy their jewelry already assembled from manufacturers, Nye Jewelers buys the individual mountings, gem stones, etc. from the best sources in the world and assembles them here on-site, thus cutting out the “middle man”. All jewelry cleaning and repair work is done on-site. Watch batteries and bands are replaced while you wait. We also offer jewelry repairing, customized mountings, engraving, & restringing of pearls and gemstones. All engagement rings include a free life-time cleaning and inspection. We buy gold, silver, coins, and estate jewelry! Not only can Nye Jewelers custom craft your desired jewelry piece but we also carry the latest in fashion trends! Nye Jewelers is an exclusive authorized dealer of Charles Albert Jewelry!